Every day, Watch This offers staff recommendations inspired by a new movie coming out that week. This week: James Gray’s upcoming The Immigrant has us thinking about the immigrant experience and films that explore it. 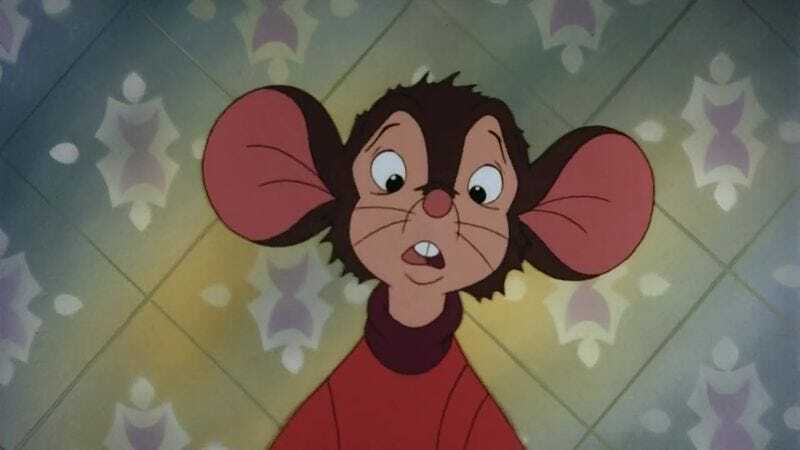 If someone said, “They don’t make ’em like they used to” in regards to An American Tail, they could be talking about any number of things. There’s the hand-drawn animation, the relative lack of celebrity voice actors, and also the fact that Don Bluth made a children’s movie about a family of Russian mice who immigrate to the United States in the late 19th century in order to escape the Cossacks. Last year, the major animated films included a Disney behemoth about a beautiful princess who shoots ice from her fingers and a DreamWorks disaster about a superpowered snail who races in the Indianapolis 500. In 1986, Universal’s big Thanksgiving release was a cartoon musical about the Jewish diaspora. Legend has it that Steven Spielberg went to Bluth, a devoted Mormon who worked on late-era Disney classics like Robin Hood and The Rescuers before splitting from the company, and said, “make me something pretty.” Given the shape that An American Tail ultimately took, it’s clear that Spielberg’s involvement didn’t end there. A cross between Gangs Of New York and Fiddler On The Roof by way of Art Spiegelman’s Maus, the film tells the story of the Mousekewitz family, who are essentially Jewish stereotypes with whiskers. They flee to the Land Of Opportunity after an especially terrifying Hanukkah (“There are no cats in America and the streets are paved with cheese!”), but young Fievel is tossed overboard and separated from his family as they cross the Atlantic. There doesn’t seem to be much hope for the rodent when he washes ashore on Ellis Island—the pipsqueak is about as street smart as roadkill—but America fulfills all of its promise and more when he becomes best buds with a vegetarian cat voiced by Dom DeLuise. At once both unbearably cute and refreshingly bleak (when Fievel’s sister has a feeling that her brother is still alive, a parent responds: “After a while, it will go away”), An American Tail eschews the focus on social mobility endemic to most immigration stories, suggesting instead that the American Dream is more easily achieved if families remain whole and classes work together. Bluth is too preoccupied with Fievel’s obliviousness to do much with the compelling world around him, but 1885 Manhattan so wantonly disposes of the film’s supporting characters—Fievel’s baby sister simply vanishes, perhaps due to a budget crisis during production—that the Mousekewitz family’s inevitable reunion is made touching by its unlikelihood. Although it’s winsomely drawn with the sepia varnish of Heaven’s Gate and littered with musical numbers that are way too good for the movie around them (duet “Somewhere Out There” is a legit classic), nostalgia might be the most legitimate reason to watch An American Tail. Of course, with The Croods 2 now officially in production, there’s a chance that nostalgia might be better than you remember. Availability: An American Tail is available on Blu-ray and DVD, which can be obtained from Netflix, and to rent or purchase from iTunes and Amazon Instant Video.